David Kirkwood, the son of a labourer was born in Glasgow, Scotland, in 1872. He left Parkhead Public School at the age of 12 and found work as a message-boy at a local print works. Later he became an apprentice engineer. In 1891 Kirkwood was converted to socialism by reading Looking Backward by Edward Bellamy. The following year he joined the Amalgamated Society of Engineers (AEU). Kirkwood joined the Independent Labour Party and served on the Glasgow Trade Council. He remained active in the AEU and was chief shop steward at the Beardmore Works (1914-15). Kirkwood began working closely with other socialists in Glasgow including John Wheatley, Emanuel Shinwell, James Maxton, William Gallacher, John Muir, Tom Johnston, Jimmie Stewart, Neil Maclean, George Hardie, George Buchanan and James Welsh. Kirkwood was opposed to Britain becoming involved in the First World War and was an active member of the Union of Democratic Control. He was also treasurer of the Clyde Workers' Committee and organisation that had been formed to campaign against the Munitions Act, which forbade engineers from leaving the works where they were employed. David Lloyd George and Arthur Henderson met Kirkwood and the Clyde Workers' Committee in Glasgow on 25th December 1915 but they were unwilling to back down on the issue. 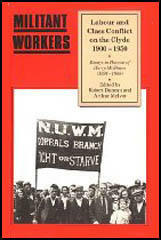 On 25th March 1916, Kirkwood and other members of the Clyde Workers' Committee were arrested by the authorities under the Defence of the Realm Act. Then men were court-martialled and sentenced to be deported from Glasgow. 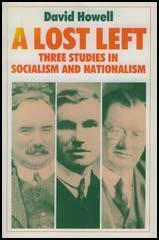 Kirkwood went to Edinburgh but in January 1917 he travelled to Manchester to speak at the national conference of the Labour Party. On his return to Glasgow he was re-arrested and deported once more to Edinburgh. He remained there until being freed on 30th May 1917. After the war Kirkwood was involved in the struggle for a 40 hour week. The police broke up an open air trade union meeting at George Square on 31st January, 1919. The leaders of the union were then arrested and charged with "instigating and inciting large crowds of persons to form part of a riotous mob". Emanuel Shinwell was sentenced to five months and William Gallacher got three months. The other ten were found not guilty. In the 1922 General Election Kirkwood was elected to the House of Commons for Dumbarton Burghs. Also successful were several other militant socialists based in Glasgow including John Wheatley, Emanuel Shinwell, James Maxton, John Muir, Tom Johnston, Jimmie Stewart, Neil Maclean, George Hardie, George Buchanan and James Welsh. Kirkwood was one of the leaders of the Independent Labour Party in Parliament until joining the Labour Party in August 1933. Kirkwood published his autobiography, My Life of Revolt in 1935. Kirkwood held his seat in Parliament until 1951 when he was created Baron Kirkwood. David Kirkwood died on 16th April 1955. At five years of age I was sent to school and was put into what was known as the penny class, so called because the reading-book cost one penny. The classes went up to the four-penny. I liked school. I was slow at lessons which involved spelling or writing. To this day I write very slowly, forming each letter as I did on my slate in school. But at memory work I was excellent. I enjoyed history. Moreover, I could recite all the major bones in the human body, and I knew the Bible stories. (2) David Kirkwood became an apprentice engineer with J. & T. Boyd in Glasgow. I worked from 6 o'clock in the morning till 5.30 at night, and my wage was five shillings weekly. At 8.30 we stopped for three-quarters of an hour for breakfast, and every morning I ran full pelt from the works to my home for my breakfast, a distance of about one mile and a half. Then I ran back, taking my dinner in my pocket. My dinner consisted of bread and jam. At 5.30 I came home for my supper - porridge and buttermilk, and sometimes bread and butter and a cup of tea. Our principal food was porridge and buttermilk. Only on Saturdays and Sundays did we have a hot meal, which usually consisted of broth, made with half a pound of boiling beef and a marrow-bone, and potatoes. I had been bred in the idea that Scotland was the greatest country in the world. I had seldom been out of Scotland, and had been to very few places in Scotland apart from Glasgow and the Firth of Clyde. The history of Scotland I knew. The geography of Scotland was a closed book to me. But Scotland was the very breath of my nostrils. Scotsmen were to me the finest race of men. The engineers of Scotland were the finest engineers. The songs of Scotland were the sweetest of all songs. The religion of Scotland was the only true religion. I could roll off stanzas of the order of: Oh, Scotia, my dear, my native soil! I revelled in the story of Scotland's struggle for liberty. I saw her battered but never beaten, rising from the crushed ashes of her blasted hopes to higher resolve and fuller power. I felt my body tingle as I sang The Battle o' Stirling Brig or The March of the Carrier on Men. I hated war. I believed that the peoples of the world hated war, and had no hate for each other. A terrific struggle tore my breast. I could not hate the Germans. They loved their land as I loved mine. To them, their traditions and their history, their religion and their songs were what mine were to me. Yet I was working in an arsenal, making guns and shells for one purpose - to kill men in order to keep them from killing men. What a confusion ! What was I to do ? I was not a conscientious objector. I was a political objector. I believed that finance and commercial rivalry had led to war. (5) David Kirkwood, speech at Glasgow City Hall against the Munitions Act in 1916. Fellow-engineers, the country is at war. The country must win. In order to win, we must throw our whole soul into the production of munitions. Now we come to the point of difference. The Government and its supporters think that to get the best out of us, they must take away our liberty. So we are deprived of the chief thing that distinguishes free men from slaves, the right to leave a master when we wish to. If I work in Beardmore's I am as much his property as if he had branded a ' B ' on my brow. They have us and they know it. Mr. Lloyd George claims that all this is necessary in order to win the War. It is a strange doctrine. It amounts to this, that slaves are better than free men. I deny it. I maintain that for peace or war free men are better than slaves. We are willing, as we have always been, to do our bit, but we object to slavery. No charge has been made against us; no trial has been offered us. On my return I shall have no means of life but labour. I am no criminal. If I break the law in future, I must be dealt with as other men. Today for the first time I have the opportunity to place my case before the representatives of British Labour. Having done so, I place it on your shoulders with all its responsibilities. Great principles of constitutional liberty are challenged. You must defend them. When I leave this Conference I will not go back to deportation. I go home to Glasgow or I go to prison. If nothing else happened, this incident (David Kirkwood's speech) would have redeemed the Conference. During it, the Conference went back to its fundamental emotions of freedom, independence, and hostility to the present governing classes. The delegates, after one of those silent pauses when the mind is grasping what has happened, burst out into a tornado of cheers. Thank you very much, Clyde engineers, for helping some of us to retain our faith in the Labour Movement by giving us a chance to see what the heart of that Movement is. Emerging from the entrance door of the City Chambers, I saw William Gallacher coming in, his face streaming with blood. I saw the police using their batons mercilessly. I did not know that the Sheriff had read the Riot Act. Stones and bottles were flying through the air; the crowds were surging this way and that, driven by policemen. I ran out, with arms widespread, to appeal for restraint and order. Then I knew - no more. I had been struck with a baton from behind. When I came to, I was lying in the quadrangle surrounded by police, one of whom was bandaging my wounds. News flies quickly. My first thought was to ask John Muir to go to my wife to tell her I was all right. He went at once, but before he arrived my wife had already been told that I had been killed. At the Central Police Station some of my friends were also being charged. Willie Gallagher was there, despite the fact that he had actually been given police protection so that he could bawl out to the crowd: "March off, for God's sake." David Kirkwood had also been arrested. He was excitable but was really a peaceable soul and had, as a matter of fact, been hit on the head by a policeman almost as soon as he ran down the steps of the City Chambers, being attacked from the back as he raised his hand to quieten the crowd. That might not have meant his discharge at the subsequent trial except for the lucky fact that a press photographer took a picture of the policeman's baton raised and Kirkwood collapsing - evidence which, of course, meant his dismissal from the case when the picture was exhibited. From the outside circumference of the city to its very heart, Glasgow was ringing with the message of Socialism. Within a week of the election day, it seemed likely that the whole team of eleven would win, that Bonar Law would be defeated, and that Socialism would be triumphant. Such energy, enthusiasm, and earnestness had not been known in Glasgow for generations. There we were, men who a few years before had been scorned, some of us in jail and many more of us very near it, now being the men to whom the people pinned their faith. When, at last, the results were announced, every member of the team was elected - except our champion of the Central Division. What a troop we were! John Wheatley, cool and calculating and fearless ; James Maxton, whose wooing speaking and utter selflessness made people regard him as a saint and martyr ; wee Jimmie Stewart, so small, so sober, and yet so determined; Neil MacLean, full of fire without fury; Thomas Johnston, with a head as full of facts as an egg's full o' meat ; George Hardie, engineer and chemist and brother of Keir Hardie; George Buchanan, patternmaker, who knew the human side of poverty better than any of us; James Welsh, miner and poet from Coatbridge, John W. Muir, an heroic and gallant gentleman; and old Bob Smillie, returned for an English constituency though he was born in Ireland and reared in Scotland. We believed that this people, this British folk, could and were willing to make friends with all other peoples. We were ready to abandon all indemnities and all reparations, to remove all harassing restrictions imposed by the Peace Treaties. We were all Puritans. We were all abstainers. Most of us did not smoke. We were the stuff of which reform is made. A Socialist Government cannot carry on a capitalist system better than the capitalists. The men bred by a capitalist system are men of affairs who understand their business. They are not apprentices. It was the practice, and still is, for Socialist propagandists to refer to the great industrial magnates and their friends in the House as nonentities - stupid, cruel, selfish people who had fallen heir to positions of power which they have not the capacity to uphold. I have found that it is not so. The men in charge, whether in the world of industry or in the world of politics, are very able men. To change the system is a sound proposition. If those of us who wish to change the system can persuade a sufficient number of our fellow-citizens that a change is desirable, then a change will come. But merely to change masters is not worth striving for. If the system is to remain, I prefer that the men in control should be men who can do the job.